Bringing joy, vitality and a web of connection to older adults and people with dementia through playful, expressive movement and dance via direct programming and training caregivers. An enthusiastic and dynamic speaker, Donna tailors presentations to her specific audience. Trained as an expressive arts therapist, she has reached and engaged people through 1,000s of groups, 100s of workshops and keynotes, and dozens of classes over her 40 year career. Inadequate care for her father fueled Donna's passion to transform the culture of care for older adults and people with dementia from impoverished to joyous and uplifting. Her message: Older adults and people with dementia deserve to be treated with honor. We do so by speaking their language, the language of the body. Only by speaking their language will we support their vitality and well-being. Let us bring out the sparkle in your older adults! Improve the quality of life for your residents, regardless of their abilities, through dance and expressive movement. Our one-hour groups will motivate participants to be active and animated, express themselves, and have fun. 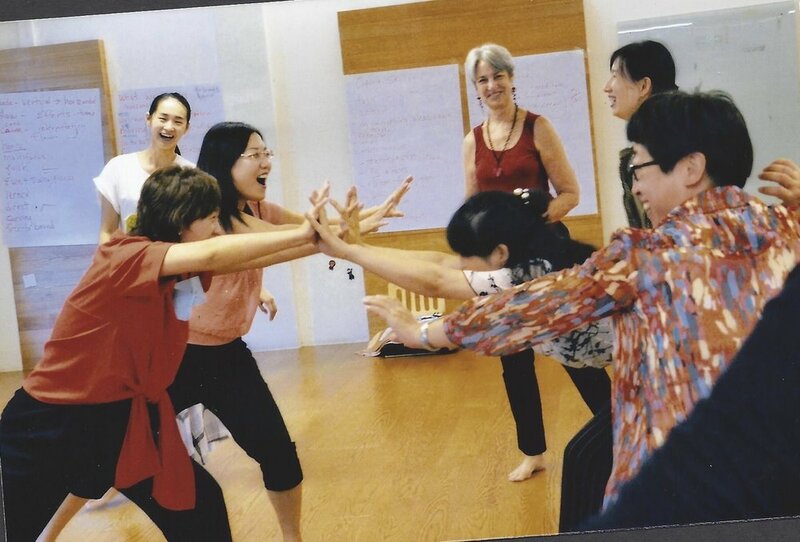 They will connect with one another through the use of irresistible music, props, humor, expressive movement and dance. Please note: Dance Programs for Older Adults and People with Dementia is for those located in Eastern Massachusetts. We will teach you how to customize your groups in order to motivate older adults to express themselves so they feel seen, heard, and appreciated for who they are. "This training validated my work and empowered me to broaden it." Improve your skills, competence, and confidence to communicate effectively with persons with dementia through an embodied approach. Learn to create an emotionally safe and supportive social environment for people with dementia. We’ll teach you to read nonverbal communication and to make your intentions clear through your conscious use of movement. "Staff members have a new perspective on people with dementia and their role in improving residents' lives. Staff have learned to offer a resident their hand, move more slowly, and bring a quieter presence. Residents are participating more in their daily activities." Receive clinical supervision from a supportive and seasoned board-certified dance/movement therapist with 40 years experience using DMT in mental health, medical rehabilitation, and dementia care. Reflect upon and refine your insights to become a more effective dance/movement therapist through skilled expressive arts facilitations with a clinician, supervisor and teacher. Supervision available in person or via video conference. "Supervision helped me feel where I'm at without judgement. Your presence is supportive, open, warm, and safe, and I'm glad that I'm taking my supervision journey with you." Individual guidance and support around the development and improvement of dance and dementia groups. Receive supportive feedback and resources to increase participant engagement in your dance and expressive movement groups for older adults, particularly those with dementia, from a clinician, supervisor and teacher with 40 years practical experience. *30 minute or 60 minute sessions available in Dedham, MA or via video conference. Donna delivers inspiring, stimulating and informative experiential workshops to help participants expand upon their skills and feel confident to apply them. Participants will leave feeling validated, uplifted and empowered to make positive change.